Do you know who makes the list from your state? We all have dreams of winning the lottery and being millionaires. But did you know that every single state is already home to its very own multimillionaire? We’re talking double-digit millions, if not billions, of dollars, and all 50 states have at least one person with that kind of cash. 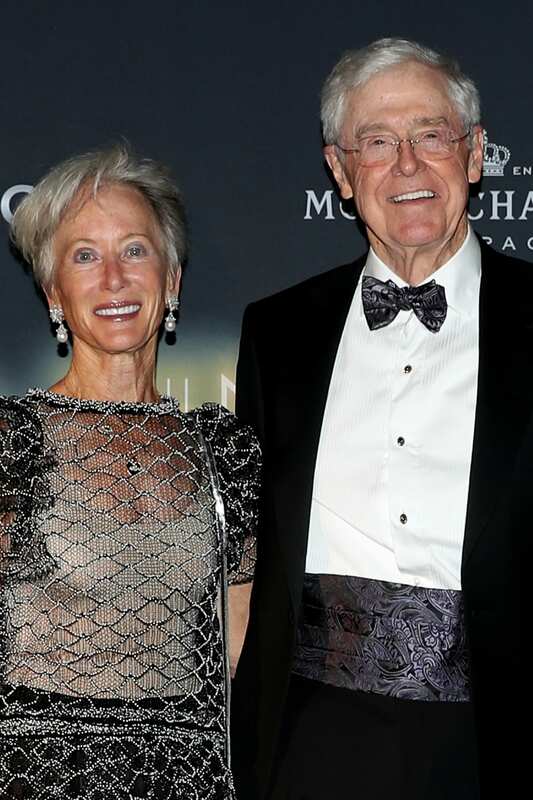 Forbes has been tracking the wealthiest people in the country for three decades. You’ll likely not be surprised by some names on their 2018 list — like Mark Zuckerberg — but it may shock you that some people you’d expect to see are not there, such as Bill Gates. While Gates’ net worth is around $96 billion, he calls the state of Washington home, which is also where Jeff Bezos, the founder of Amazon lives — and he is worth even more than that. Check out the name of the wealthiest person in each state, according to Forbes. Do you recognize the name of the person with the most money in your home state? 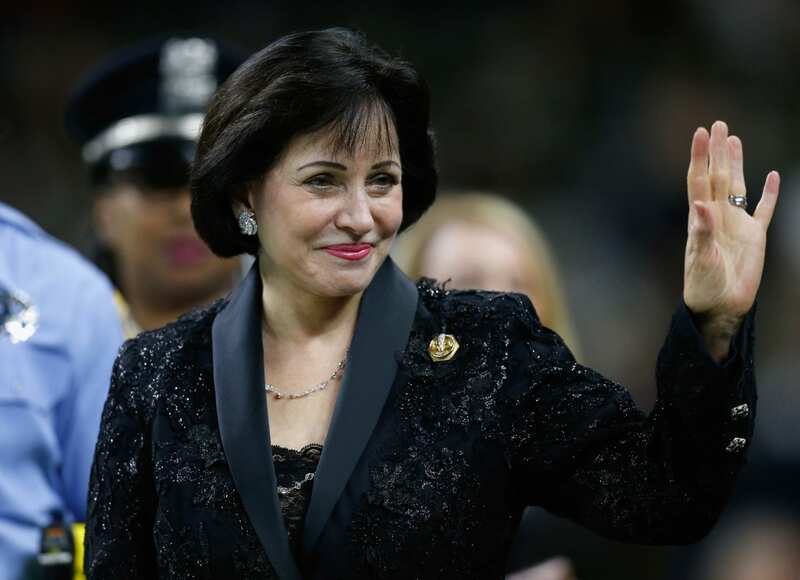 Following the death of her husband, Gayle Benson is now the owner of the NFL New Orleans Saints and NBA New Orleans Pelicans. Before owning the sporting teams, she was an interior designer, and founded thoroughbred horse racing company GMB Racing. Benson and her husband also established the Gayle and Tom Benson Cancer Center on the main campus of Ochsner Medical Center. It’s believed that Pauline MacMillan Keinath is the largest shareholder of Cargill, the largest food company in the world. The company was founded by her great-grandfather as a single grain warehouse in 1865. Today, the family still owns around 90 percent of Cargill, which has made $115 billion in sales so far in 2018 alone. 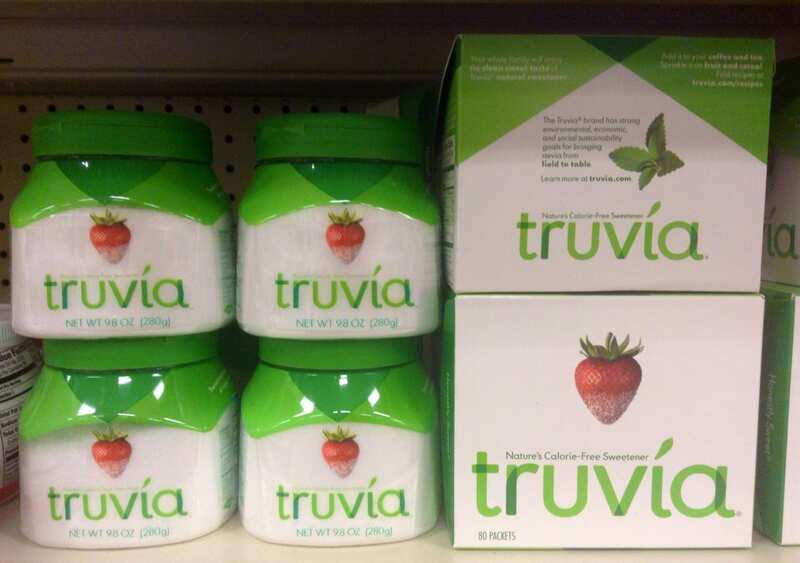 Cargill products include chocolate, plant-based proteins and sweeteners like Truvia. Andrea Reimann-Ciardelli is an heir to the Reimann family fortune, and she sold her stake in the family’s investment firm, JAB, to other family members for $1 billion. Reimann-Ciardelli is a descendant of German chemist Ludwig Reimann, whose great-grandson, Andrea’s father, took control of the company and added consumer products in 1952. 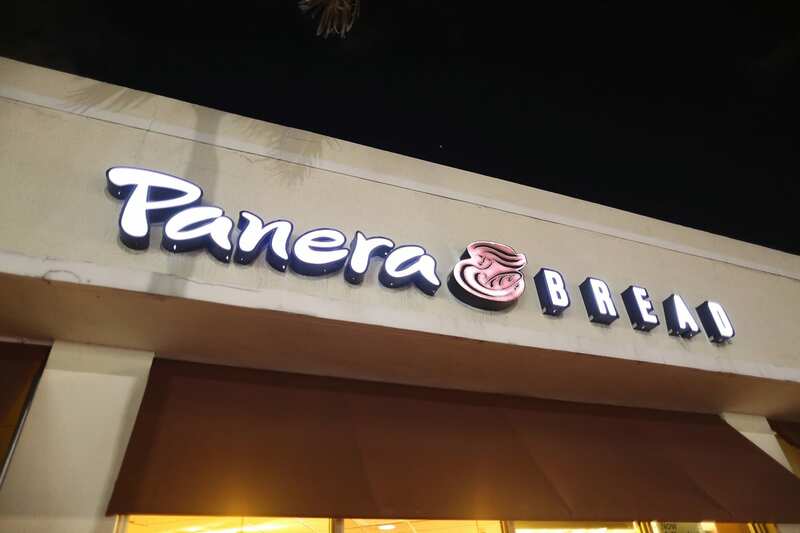 JAB’s holdings today include Peet’s Coffee, Krispy Kreme, Panera Bread and Reckitt Benckiser, which makes products like Lysol, Woolite and Clearasil. Jimmy Rane is the founder and CEO of Great Southern Wood Preserving, a company that makes decks, fences and other lumber products. 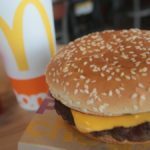 According to Forbes, he and his brother turned their family’s $22,000 backyard wood-treating plant into the company that now has more than $1 billion in annual sales. Rane also started the Jimmy Rane Foundation in 2000, which has so far awarded around 350 college scholarships. Leonard Hyde and Jonathan Rubini are the largest real estate developers in Alaska and the wealthiest people in the state. 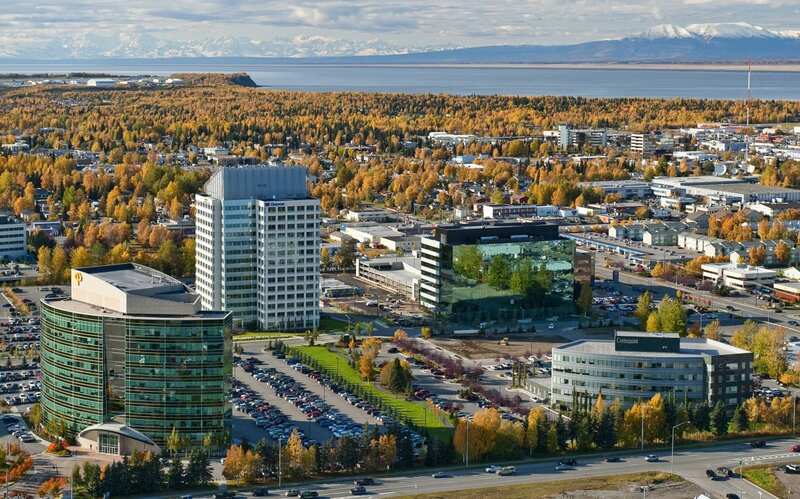 Together, they control several of the largest buildings in Anchorage and also own a business park in Utah and a hotel in Florida. While they both own 50 percent of the business, Rubini serves as CEO and chairman of the real estate firm, while Hyde acts as president. 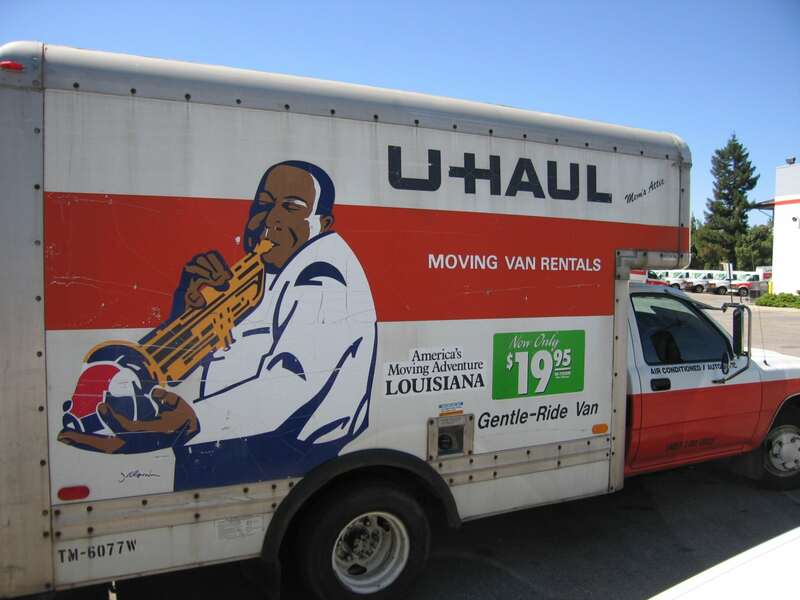 Mark Shoen is the largest shareholder of Amerco, the parent company of U-Haul, which is the biggest moving and storage company in North America. 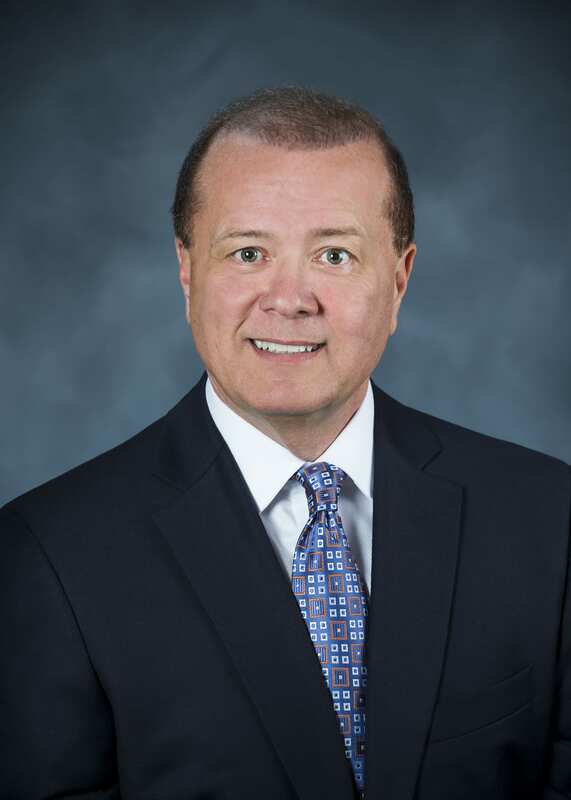 Mark’s brother, Joe Shoen, is the president and chairman of Amerco, having taken over for their father in 1986. 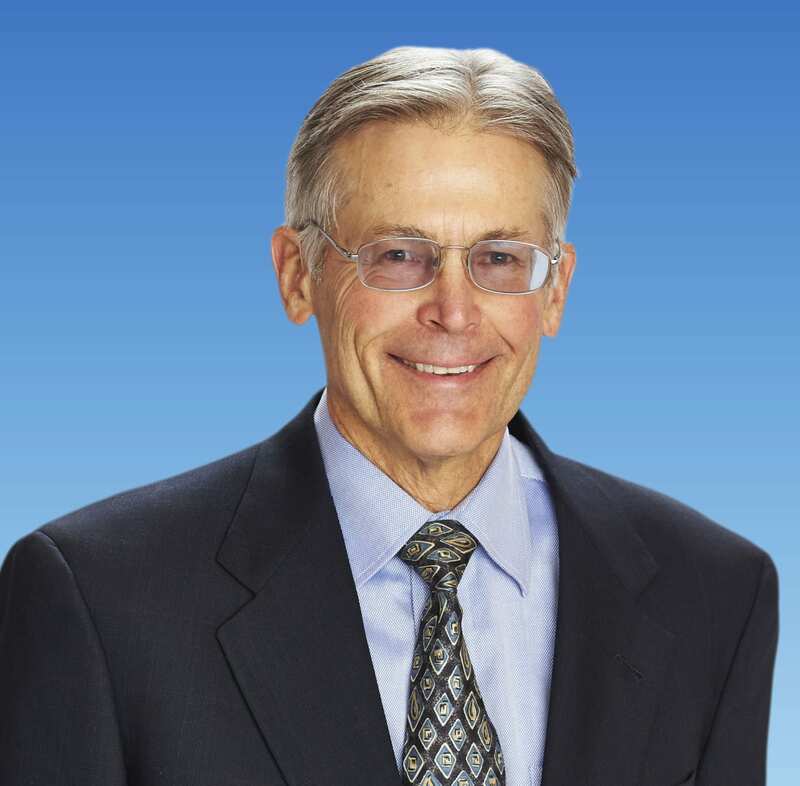 Jim Walton is the third child and youngest son of Walmart founder Sam Walton and, along with this siblings, owns about half of Walmart’s stock. 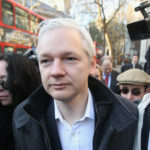 Walton is also chairman and CEO of the family’s Arvest Bank, which has assets worth more than $16 billion. Jim’s father, Sam, founded Walmart in 1962 and it is now the world’s largest retailer by revenue with annual sales of $500 billion. As co-founder and CEO of Facebook, Mark Zuckerberg is one of the world’s youngest billionaires. He started Facebook at Harvard in 2004 — when he was just 19 years old. 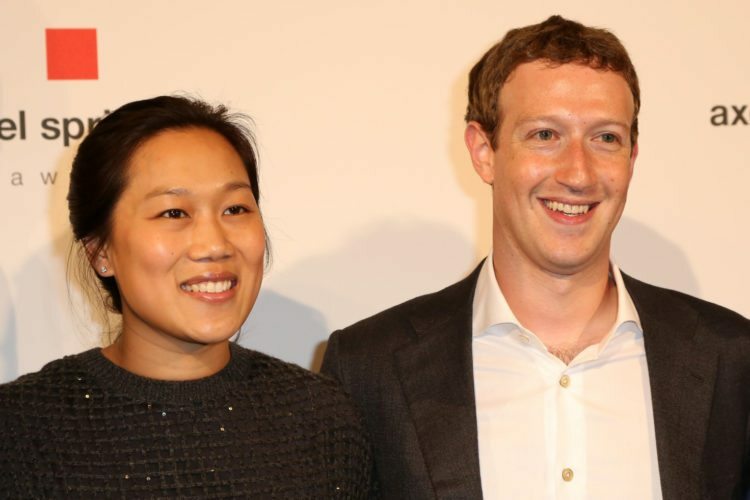 Since the site’s incredible success, Zuckerberg and his wife have pledged to give away 99 percent of their Facebook stake over their lifetimes. 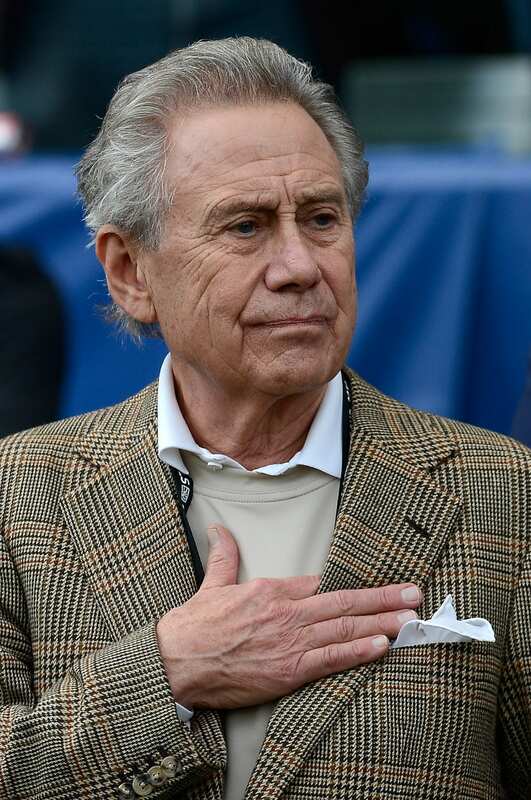 Philip Anschutz owns or controls companies in a variety of businesses, including energy, railroads, real estate, sports, movies, arenas and more. 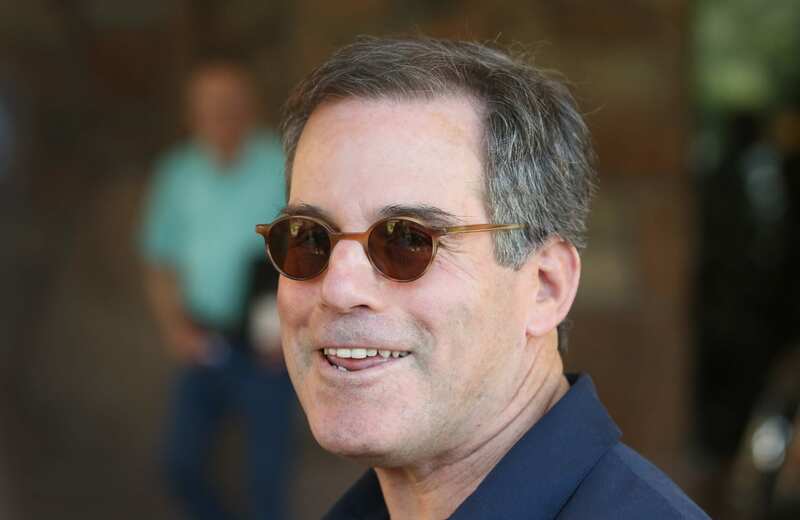 He also owns the Los Angeles Kings and a third of the Lakers, along with the Staples Center, and is the founder of the Anschutz Entertainment Group, which is the parent company of the Coachella Music Festival. According to Forbes, he has donated $2 billion to charity. Ray Dalio is the founder of Bridgewater Associates, the world’s biggest hedge fund firm. He graduated from Harvard Business School with a Master of Business Administration degree and launched Bridgewater from his two-bedroom New York City apartment. 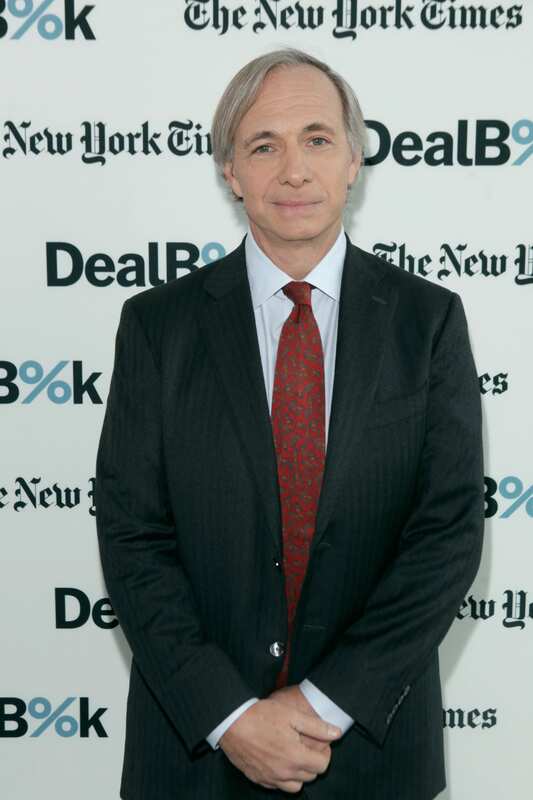 He founded the Dalio Foundation in 2003 and has given more $1.32 billion in funding to the foundation to support education, ocean exploration, mental health and wellness, and child welfare, among other causes. 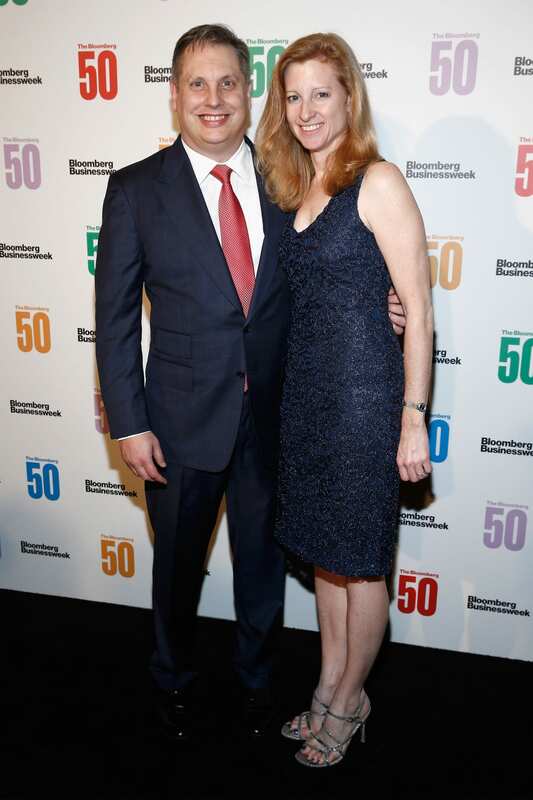 Siblings Robert Gore and Elizabeth Snyder each own an estimated seven percent of W.L. Gore & Associates, the family company that produces Gore-Tex, a lightweight, waterproof fabric. Robert is actually the one who discovered Gore-Tex while attempting to stretch the material known as Teflon. Gore-Tex is widely used in outdoor clothing and footwear and is just one of more than 7,000 patents held by W.L. Gore & Associates. 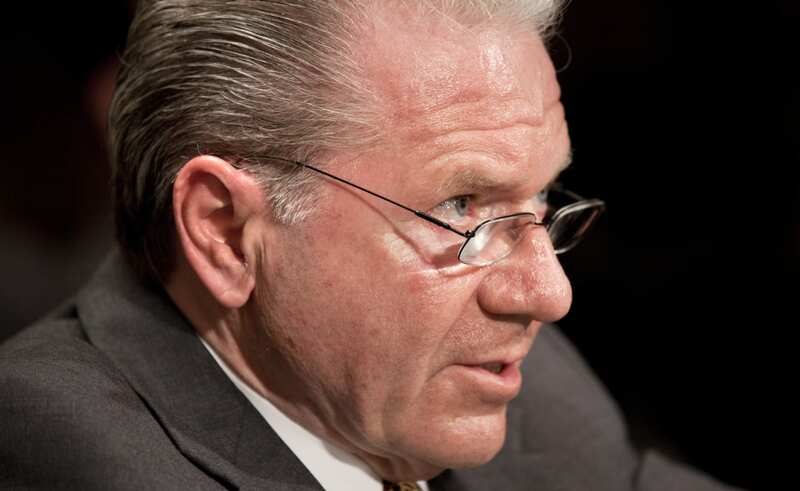 Thomas Peterffy is the founder and CEO of Interactive Brokers, which markets its trading platform to investors. 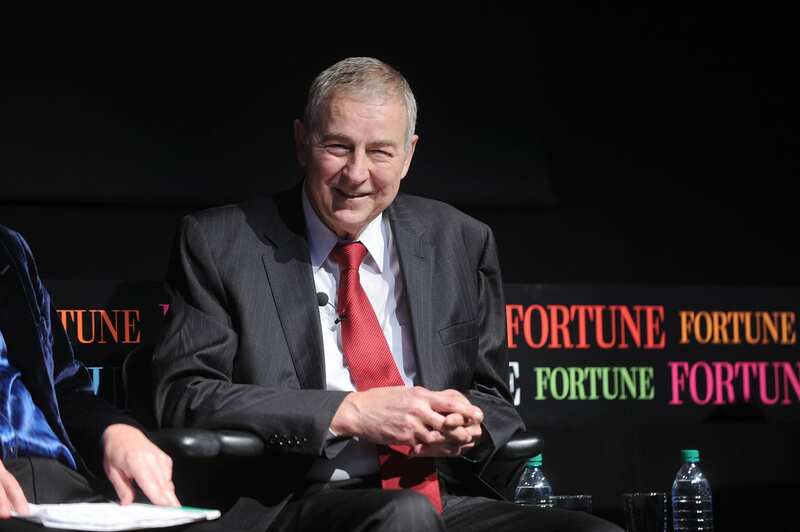 Peterffy emigrated to the United States from Hungary in 1965 and bought a seat on the American Stock Exchange in 1977. Today, Interactive Brokers is headquartered in Greenwich, Connecticut, and has more than 1,200 employees. Jim Kennedy is chairman of Cox Enterprises, a privately-held automotive and media company. He is the grandson of Cox Enterprise founder, former Ohio Governor and presidential candidate James M. Cox. Kennedy has given more than $35 million to Emory University through personal and foundation contributions for help with Alzheimer’s disease, patient-centered care models and cancer research. He was also a leading force behind Atlanta’s successful bid to host the Olympic Games in 1996. 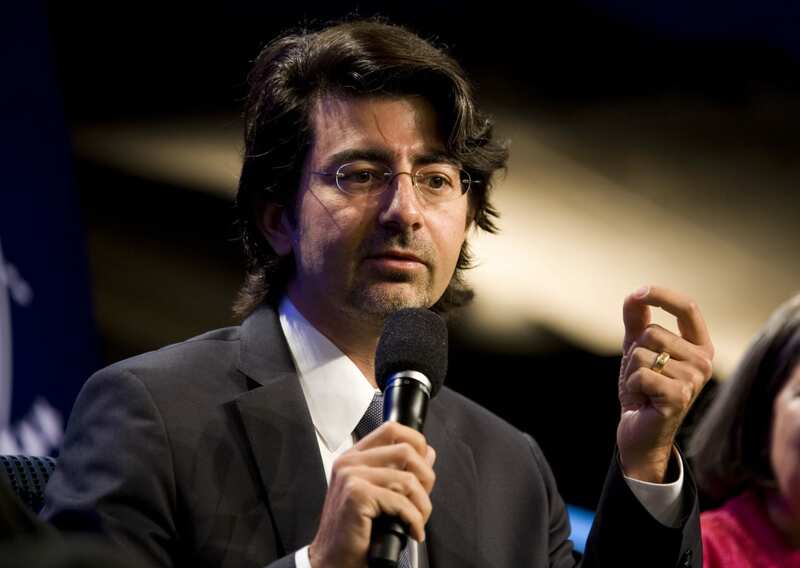 Pierre Omidyar is the founder of eBay and currently serves on the company’s board. 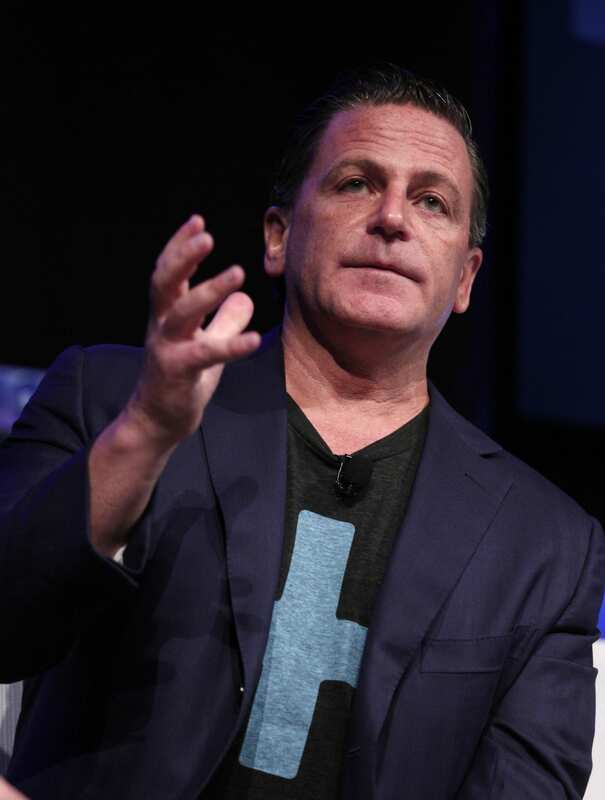 While he now only owns seven percent of eBay, he also has stakes in PayPal, is solely funding venture capital firm Omidyar Technology, and is the founder of First Look Media. Omidyar and his wife have also co-founded the Omidyar Foundation to support nonprofits. Frank VanderSloot founded and runs Melaleuca, which makes more than 400 products ranging from health supplements to eco-friendly household cleaners. He earned a Bachelor of Science in Business Management from Brigham Young University in Provo, Utah, and now also owns several large cattle ranches. 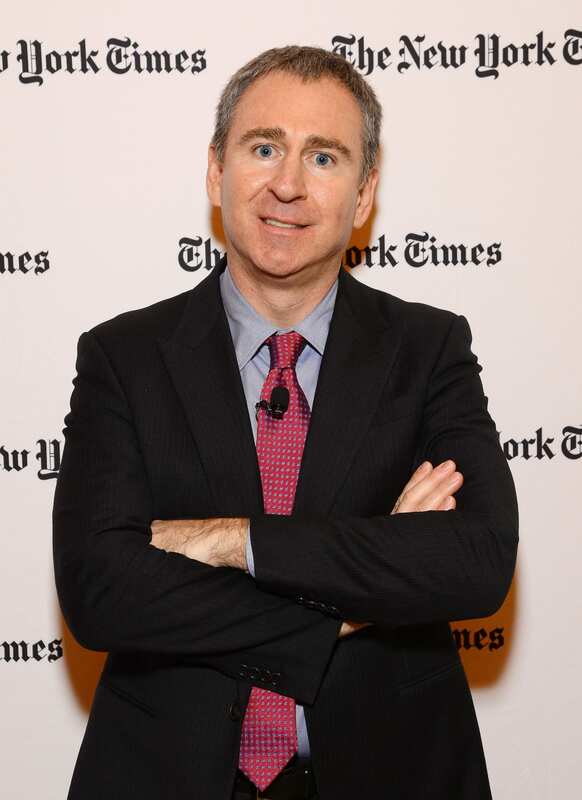 Ken Griffin is the founder of Citadel, a hedge fund based in Chicago that manages $31 billion in assets. He also owns Citadel Securities, one of Wall Street’s biggest market makers. So far, he’s donated around $600 million, including $150 million to support need-based financial aid at Harvard, the largest gift in school history at the time. Carl Cook is CEO of his parents’ medical device manufacturer, Cook Group. 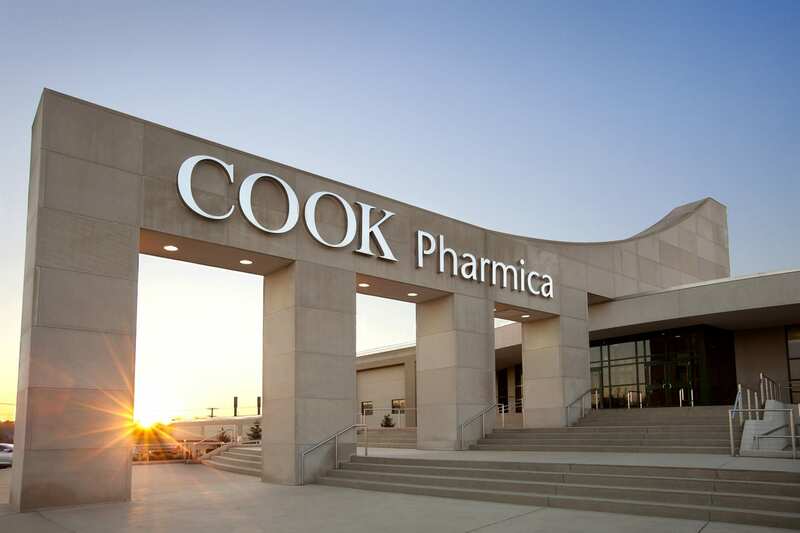 The company is headquartered in Indiana, where Cook lives, but there are locations worldwide. The Cook family is also involved in resorts, property management and aviation, among other ventures. While he still thinks of himself as a farmer, Harry Stine is also the founder of Stine Seed, which licenses corn and soybean genetics to multinationals like Monsanto and Syngenta. He lives across the street from his company’s headquarters in Adel, Iowa. Stine is dyslexic and has mild, high-functioning autism, and he is supposedly a whiz when it comes to math, data and working with seed genetics. He has donated money to multiple institutions like McPherson College and Drake University. Charles Koch is the chairman and CEO of Koch Industries, which has around $100 billion in revenue from businesses involving pipelines, chemicals, Dixie cups and Stainmaster carpets. He and his wife have been married for more than 40 years, have two children and live in Wichita, Kansas, where Koch Industries is based. He has given more than $1 billion to civic and philanthropic groups through the Charles Koch Institute. 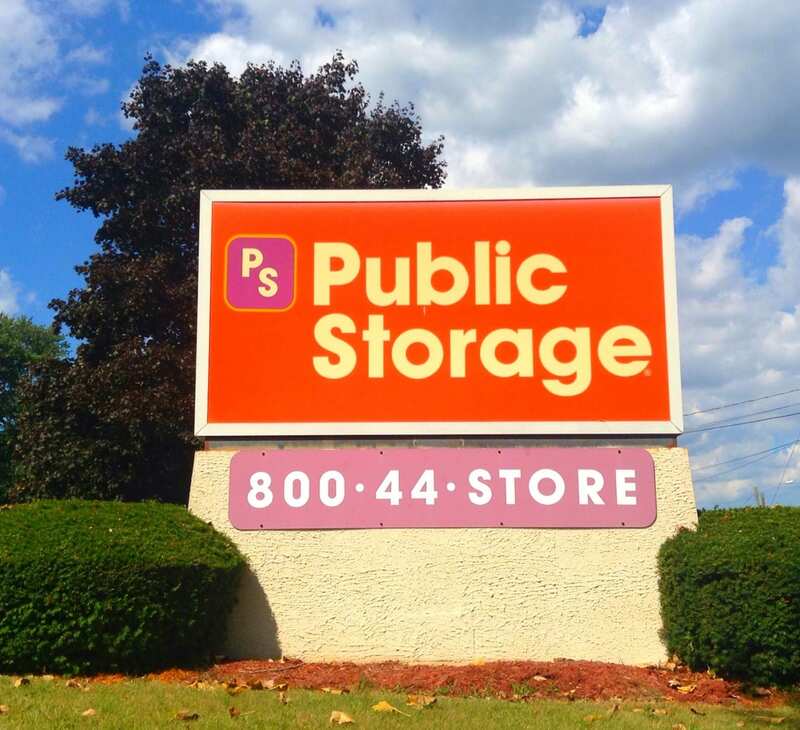 B. Wayne Hughes co-founded Public Storage in 1972 and it is now the world’s largest self-storage business, with more than 2,000 locations in the U.S. and Europe. Hughes also owns and rents out nearly 50,000 homes across 22 states. Hughes’ daughter and son are also both billionaires. 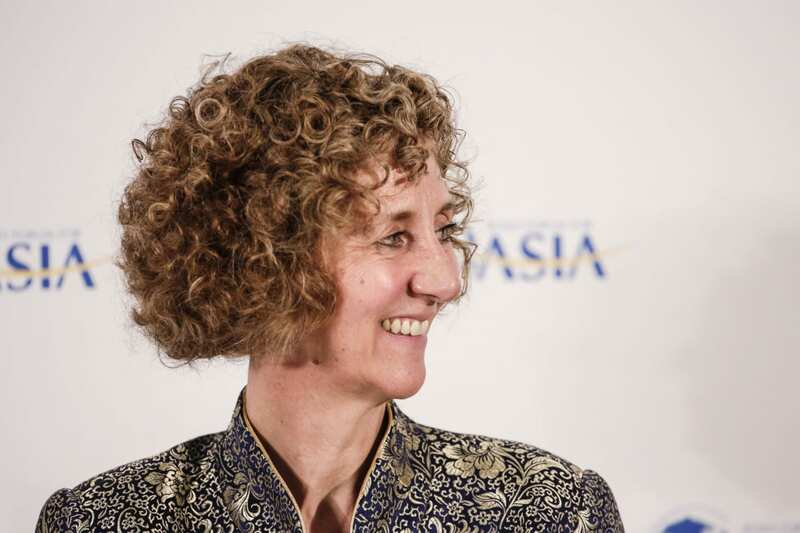 Susan Alfond’s $1.8 billion fortune is inherited through her father, who created the Dexter Shoe Company. In 1993, her father sold the company to another name on this list, Warren Buffett, for $420 million of stock. Today, the stocks are worth billions of dollars, though Buffett has since folded the company into the H.H. Brown Shoe Group. 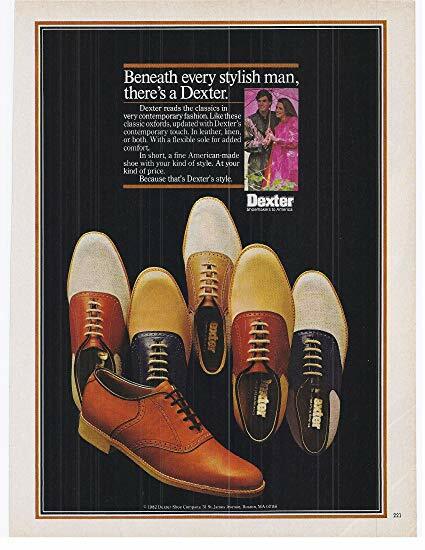 You can still find some vintage Dexter ads floating around, though. 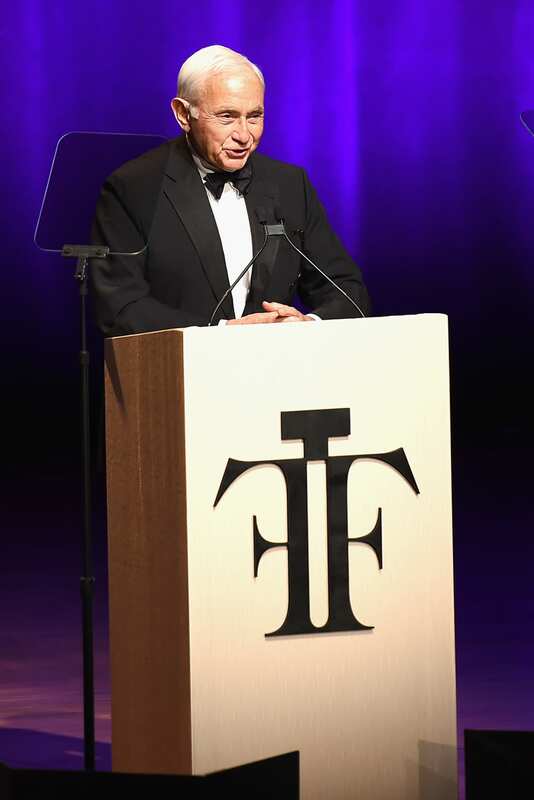 American real estate developer Ted Lerner is the founder of Lerner Enterprises, which owns commercial, retail, residential and hotel properties. 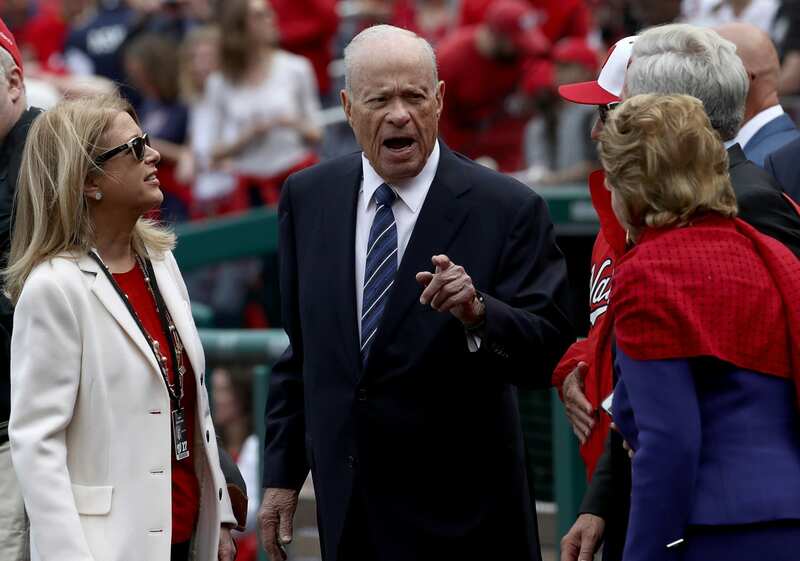 He also owns the Washington Nationals baseball team. He began the company with a $250 loan from his wife in 1952. 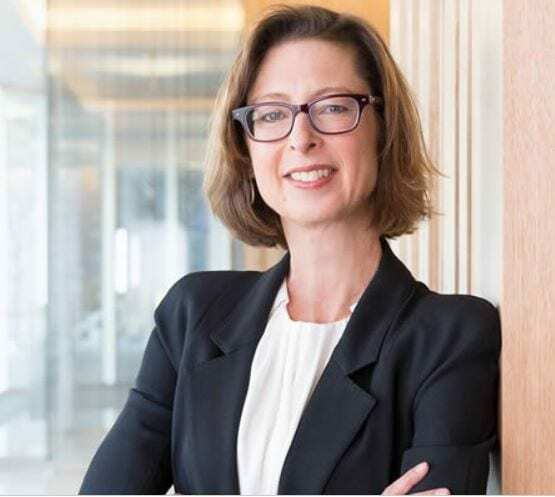 Abigail Johnson is CEO of Fidelity Investments, which was founded by her grandfather in 1946. She owns an estimated 24.5 percent stake of the firm, while her two siblings own an estimated 5 percent stake each. She holds a Masters of Business Association degree from Harvard. Daniel Gilbert co-founded Quicken Loans, the largest online mortgage lender, in 1985. He is also the founder and chairman of Rock Ventures LLC and chairman of the NBA’s Cleveland Cavaliers. He’s a shareholder in sports-related consumer and technology businesses like Fathead, Flash Seats and Xenith and has invested billions of dollars to purchase and rehab buildings in downtown Detroit. 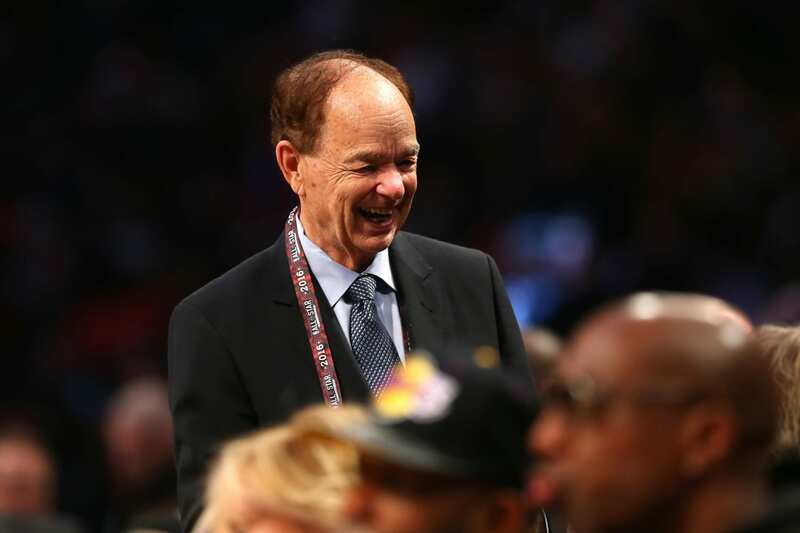 Glen Taylor is owner and founder of Taylor Corp., a printing firm with $2.2 billion in sales. 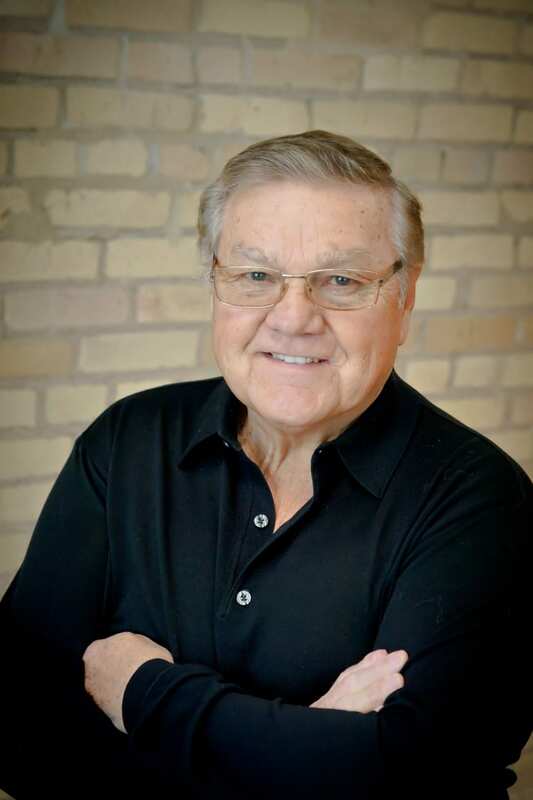 He also owns stakes in Minnesota’s NBA team the Timberwolves, WNBA team the Lynx and the United FC soccer team. He owns farmland in Minnesota and Iowa, and also owns the Minneapolis Star Tribune. Brothers James and Thomas Duff (pictured) founded and co-own the holding company Duff Capital Investors and inherited commercial tire dealer Southern Tire Mart from their father. Duff Capital has since acquired trucking company KLLM, construction firm T.L. Wallace Construction and energy firm DeepWell Energy Services. Altogether, the brothers own and run 18 companies with a total of 10,000 employees. 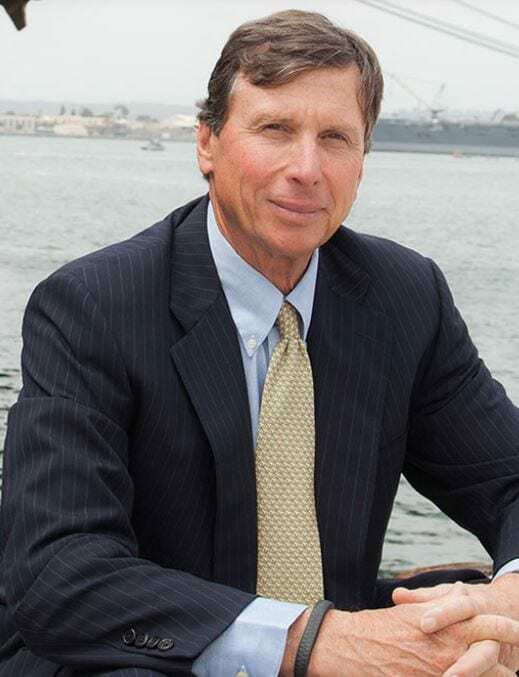 Dennis Washington founded Washington Companies and owns companies in mining, railroads, marine transportation, shipbuilding, heavy equipment sales and environmental remediation. He and his wife have also created the Dennis & Phyllis Washington Foundation, which has donated more than a quarter of a billion dollars to charity. Washington also created the Horatio Alger Montana Undergraduate Scholarship program and the Dennis R. Washington Achievement Scholarship. 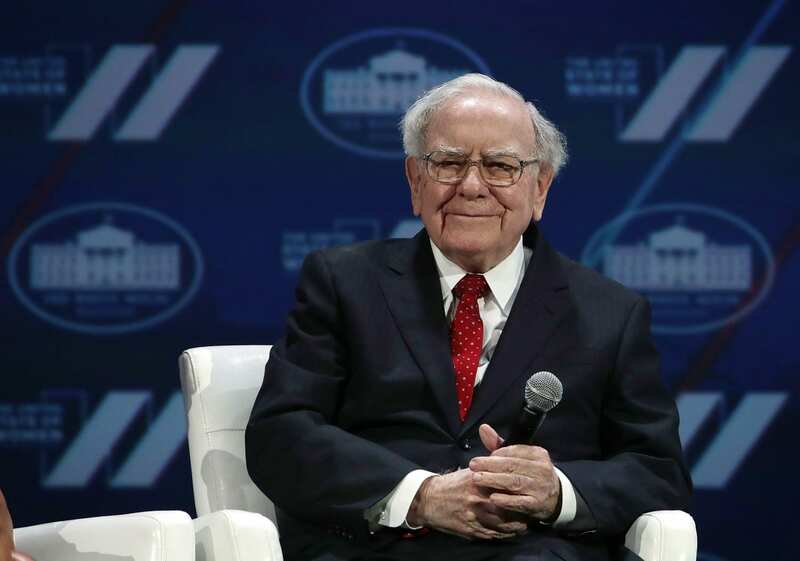 Warren Buffett runs Berkshire Hathaway, which owns more than 60 companies, including Geico, Duracell and Dairy Queen. Like another name on our list, Mark Zuckerberg, Buffett has promised to give away more than 99 percent of his fortune. 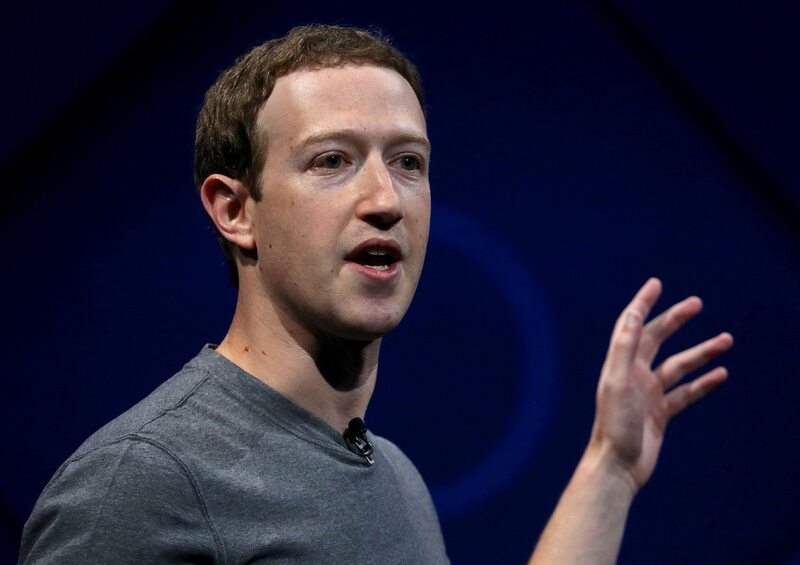 So far, he has donated around $35 billion and, along with Bill Gates, launched the Giving Pledge, which asks billionaires to commit to donating half their wealth to charitable causes. Sheldon Adelson is the CEO and chairman of casino company Las Vegas Sands and owns more than half of the gambling empire. 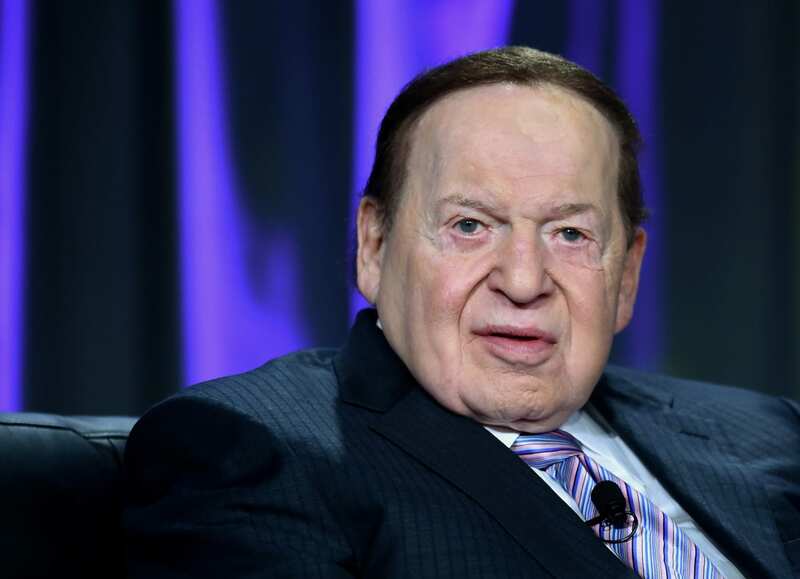 He also owns the Las Vegas Review-Journal and founded the Adelson Foundation in 2007, which works to strengthen the State of Israel and the Jewish people. John Overdeck co-founded Two Sigma Investments, a data-driven hedge fund. He received a Master’s in statistics from Stanford University and was previously the vice president of Amazon. He and his wife have given millions of dollars to children’s education programs through their foundation, the Overdeck Family Foundation. 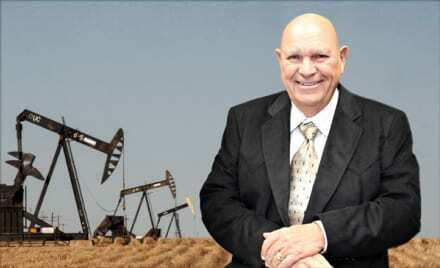 Mack C. Chase is the founder of Mack Energy Corporation, an oil and gas operating company. 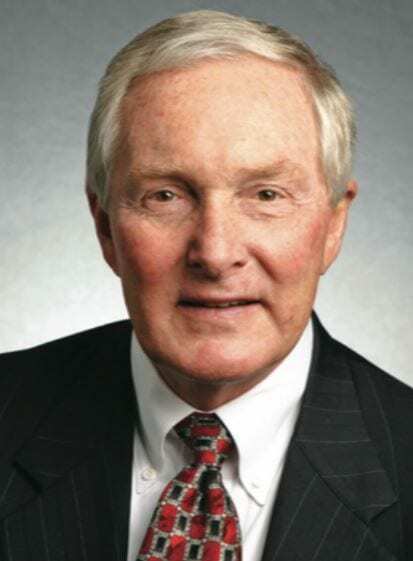 He also owns Arrowhead Pipe & Supply Company and Carlsbad Insurance Company, and he and his sons own and operate Chase Farms, one of the largest pecan producers in the United States. Chase also began the Chase Foundation, which helps people improve their lives through community initiatives, resources and the efforts of partner organizations. David Koch shares majority control of Koch Industries, the second largest private firm in the United States, with his brother Charles. He stepped down from his role as executive vice president in July 2018, citing health concerns. Koch Industries operates pipelines, produces fertilizer and makes Dixie cups and Angel Soft toilet paper. 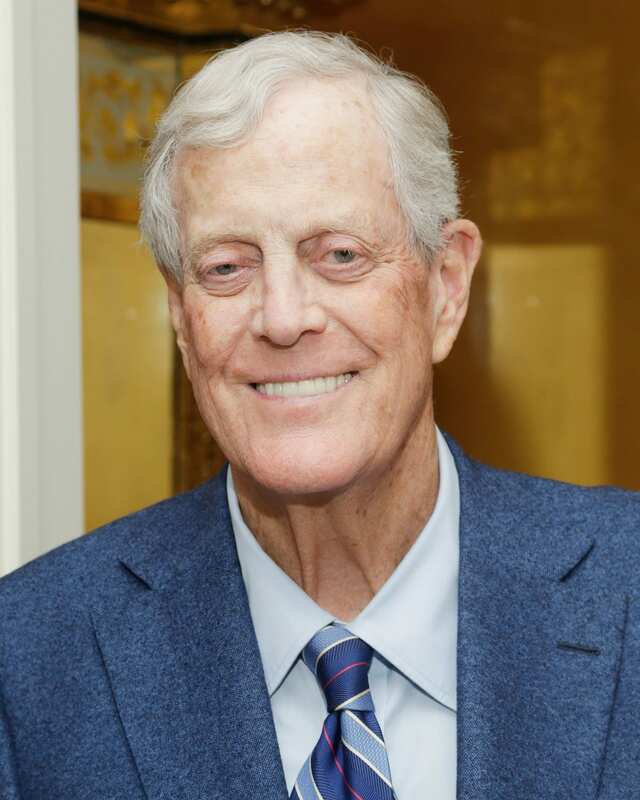 Koch also ran as the Libertarian Party’s vice presidential candidate in 1980 and has given money to New York’s Lincoln Center and Memorial Sloan Kettering Cancer Center. James Goodnight co-founded analytics software firm SAS, which analyzes agricultural data and is used by more than 83,000 organizations around the world. 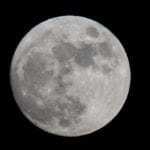 Goodnight also co-founded private school Cary Academy and co-owns a country club and hotel. Goodnight also launched SAS Curriculum Pathways, which develops free educational software that helps schools meet current challenges. Gary Tharaldson owns around 350 properties, including many hotels and an ethanol facility near Fargo, North Dakota. After buying his first Super 8 motel in 1982, Tharaldson now says he builds 20 hotels every 15 months. 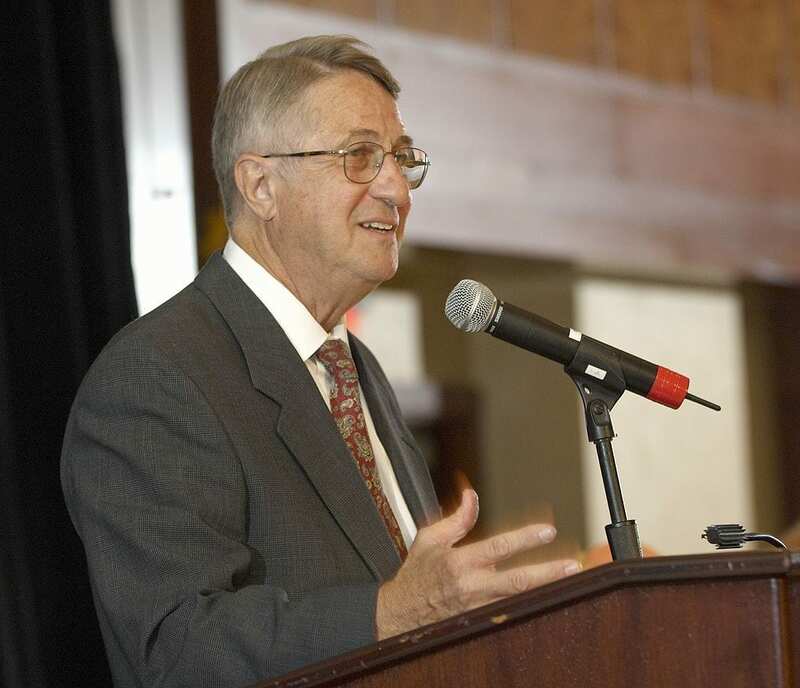 The University of Mary’s school of business is named after Tharaldson. Les Wexner is the founder and CEO of L Brands, which runs multiple retail stores like Victoria’s Secret and Bath & Body Works. Today, L Brands sells more than $12 billion worth of lingerie, soaps and candles annually. Wexner has donated nearly a quarter of a billion dollars to institutions in Ohio, including Ohio State University’s Wexner Medical Center. 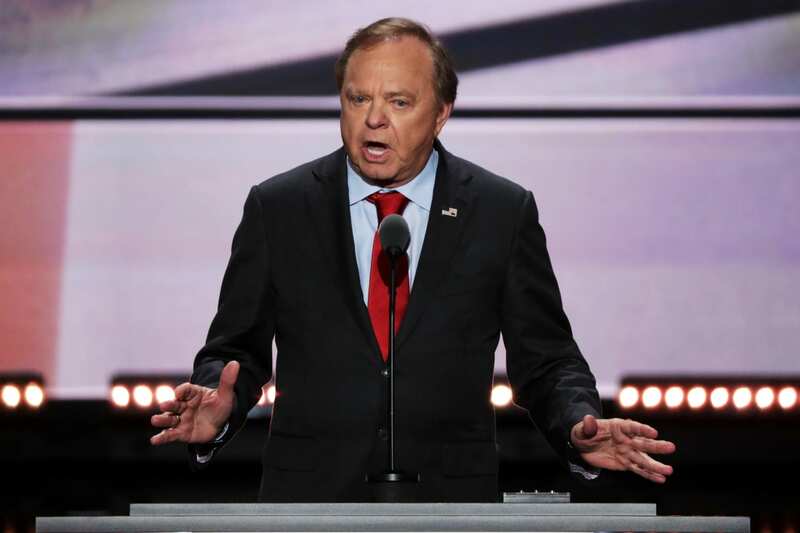 Harold Hamm is the founder, chairman and chief executive officer of Continental Resources, one of the country’s biggest independent oil companies. His idea to use horizontal drilling and hydraulic fracturing in North Dakota’s Bakken region transformed the United States oil industry. Hamm has type-2 diabetes and has donated around $30 million to establish the Harold Hamm Diabetes Center at the University of Oklahoma. 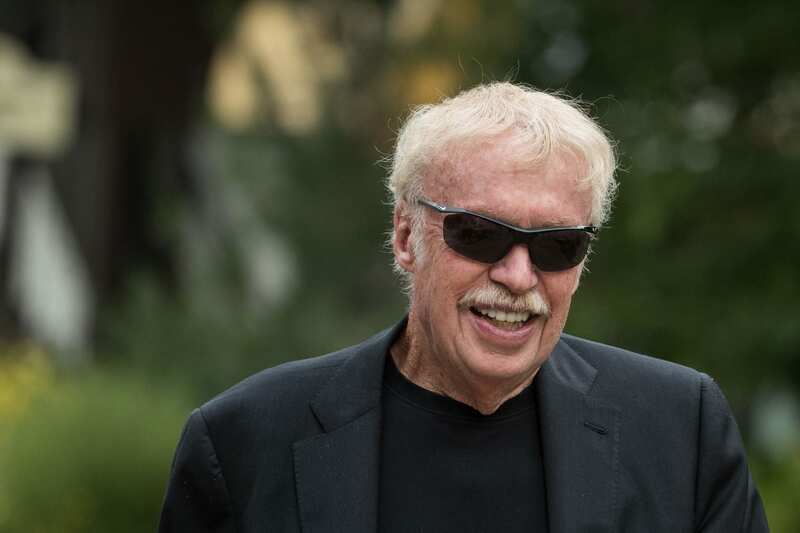 Phil Knight co-founded Nike with his former track coach. They each put up $500 to start a company they first called Blue Ribbon Sports. Nike now has revenues of $34 billion and 74,000 employees. 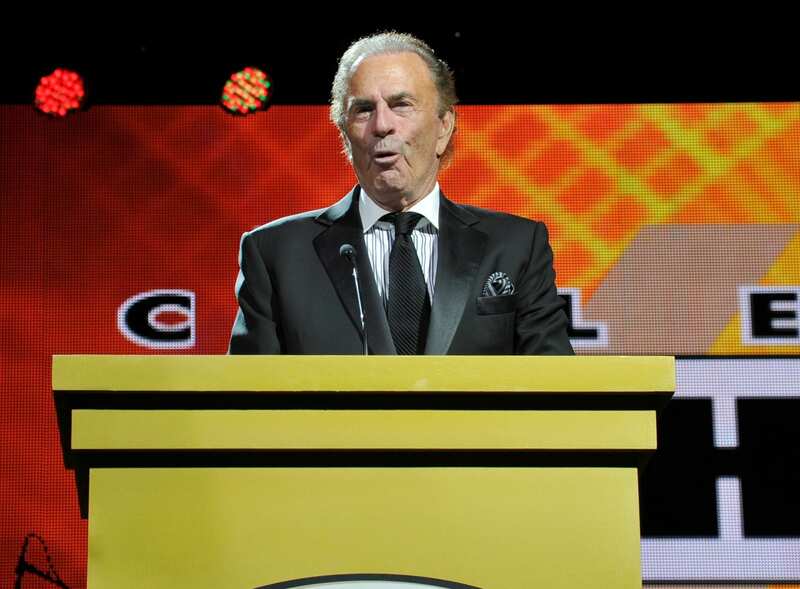 Knight has donated more than $2.7 billion, including to the University of Oregon and Stanford. Victoria Mars and her siblings are heirs to candy and pet food company Mars, Inc., started by her great-grandfather in 1911. She inherited an estimated 8 percent stake in the company when her father died in 2016. The company makes pet food like Pedigree and candy such as M&Ms, Milky Way and Skittles. Jonathan Nelson is founder and CEO of private equity firm Providence Equity Partners. The company invests in more than 180 other companies, mostly in media, communications, education and information. His firm also sold the Ironman triathlon series for $900 million in 2015. Anita Zucker is CEO of InterTech Group, a family-owned chemicals manufacturer based in Charleston, South Carolina. 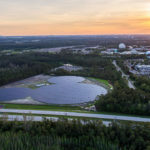 Zucker’s husband, who died in 2008, was the founder of the company, which also owns an aerospace engineering firm and commercial real estate. Zucker has donated millions to charity and helped establish the Anita Zucker Center for Excellence in Early Childhood Studies. 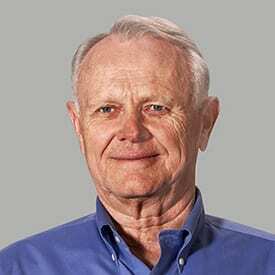 T. Denny Sanford owns First Premier Bank, which offers credit cards to high-risk borrowers. Sanford has said he wants to “die broke” and has given more than $1 billion to charity, including to the Sanford Health Foundation. Thanks to dividends from his company, however, his fortune continues to increase. 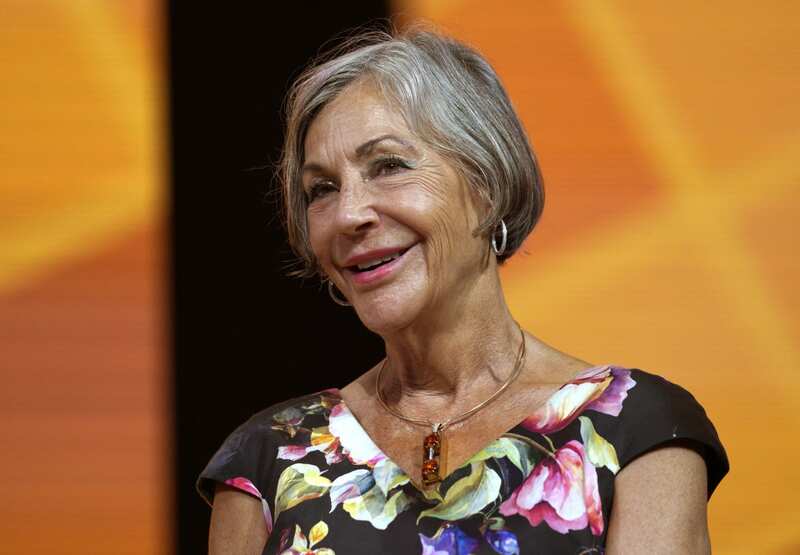 Alice Walton is the daughter of Walmart founder Sam Walton. She’s more focused on art than she is on working for Walmart, and opened the Crystal Bridges Museum of American Art in her hometown of Bentonville, Arkansas. The art collection at her museum is worth around $500 million. 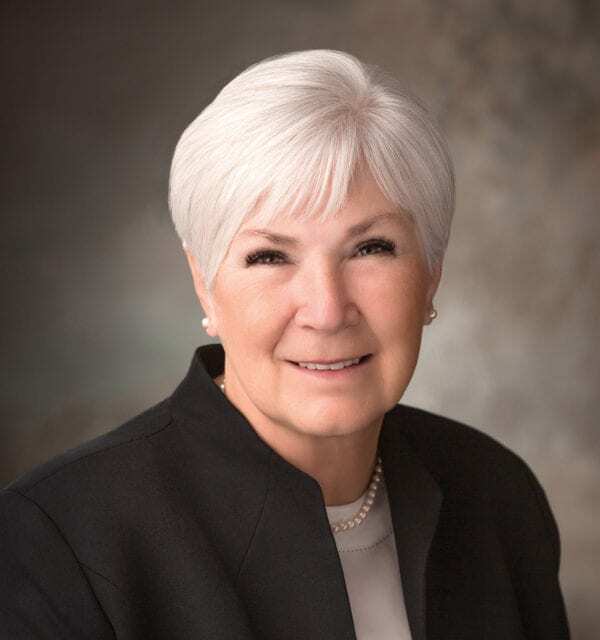 Gail Miller is owner and chairman of the board for the Larry H. Miller Management Corporation, which operates more than 60 car dealerships. Miller also owned the Utah Jazz NBA team until 2017, when she transferred ownership to a family legacy trust. Miller presides over the Larry H. Miller Education Foundation and the Larry H. and Gail Miller Family Foundation, which supports multiple charitable causes. John Abele co-founded Boston Scientific, a medical device developer that provides less invasive, more accessible treatments. 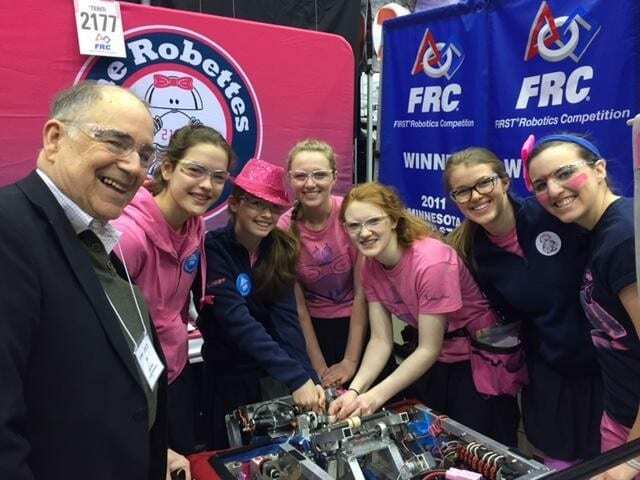 He has donated a large portion of his money to charity, including through the Abele family’s Argosy Foundation, which made $5.8 million in charitable payments in 2016. The Argosy Foundation focuses on a number of areas, including education, arts and the environment. 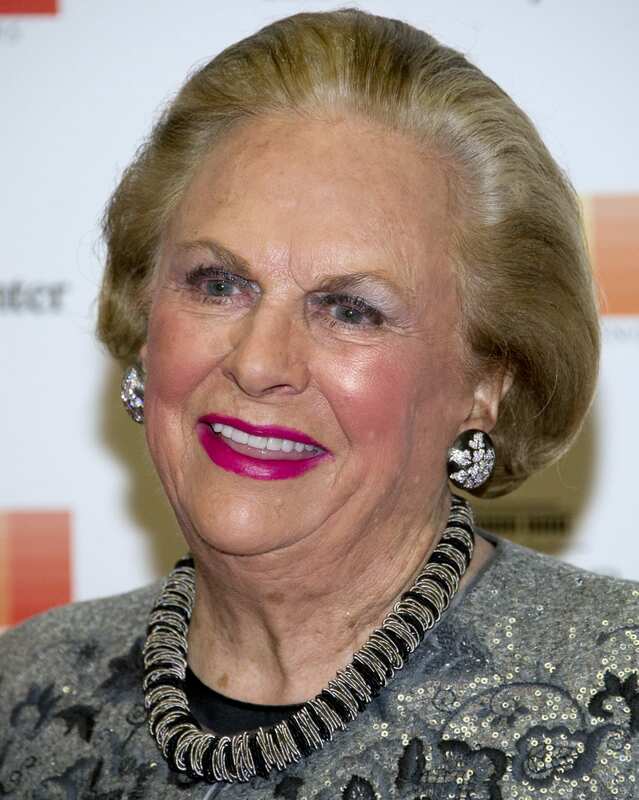 Jacqueline Mars is the second person from the Mars family on this list. She owns around one-third of candy and pet food company Mars, Inc., which was started by her grandfather in 1911. 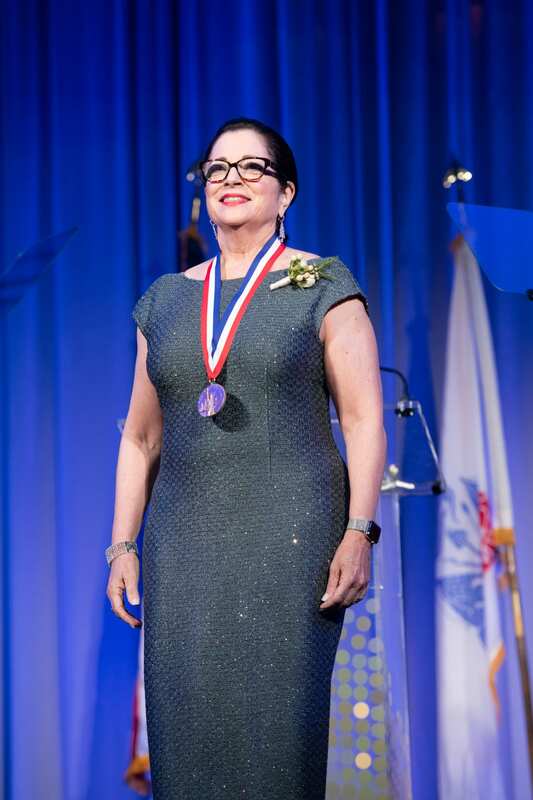 She currently serves on six boards, including the Smithsonian and the National Archives. 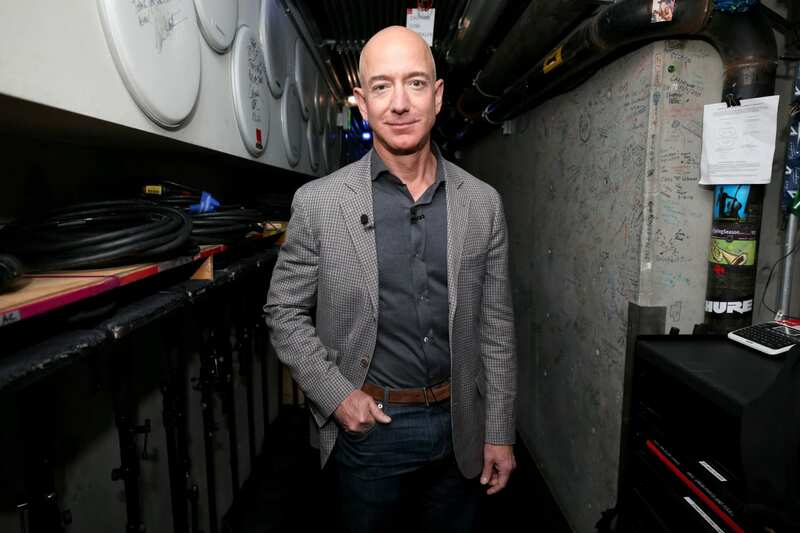 Amazon’s founder and CEO, Jeff Bezos, is the wealthiest person on the list. He attended Princeton and worked at a hedge fund before founding Amazon from his Seattle garage in 1994. Bezos also owns the Washington Post and has pledged to give $2 billion to help homeless families and create Montessori-inspired preschools. 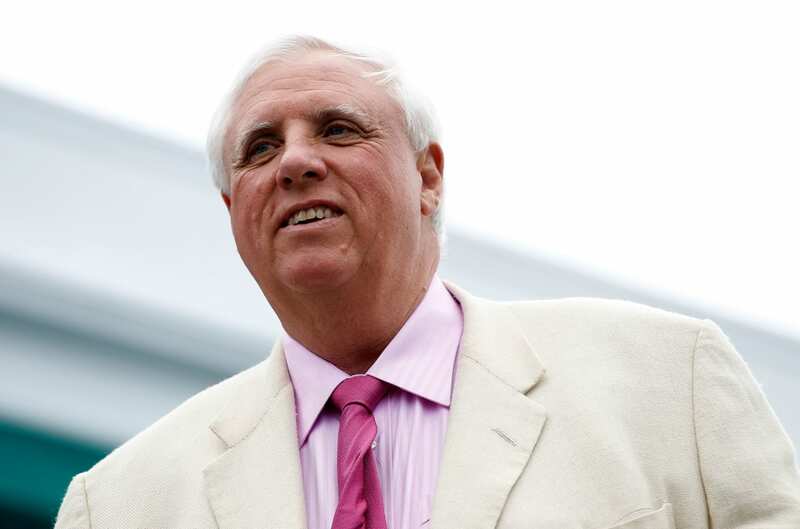 Jim Justice II inherited a coal business from his dad and now owns coal mines in five states. He is also the governor of West Virginia and owns the Greenbrier Hotel, which was built in 1778. Every Christmas, he puts on a Santa Claus suit and visits local churches to give away $1 million in gifts. 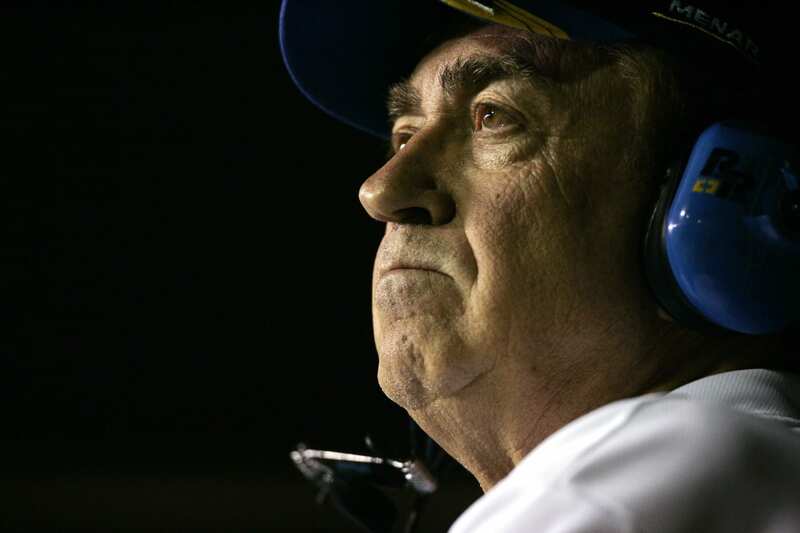 Wisconsin — John Menard Jr.
John Menard Jr. is founder and owner of home improvement retailer Menard’s, which has more than 300 stores. He is also a former IndyCar racing team owner and father of Monster Energy NASCAR Cup Series driver Paul Menard. He lives in Eau Claire, Wisconsin. The third and final member of the Mars family on the list is John Mars who, like his brother (who died in 2016, leaving his fortune to his children) and sister, inherited stakes in Mars Inc. when their father died. John owns one-third of the company. 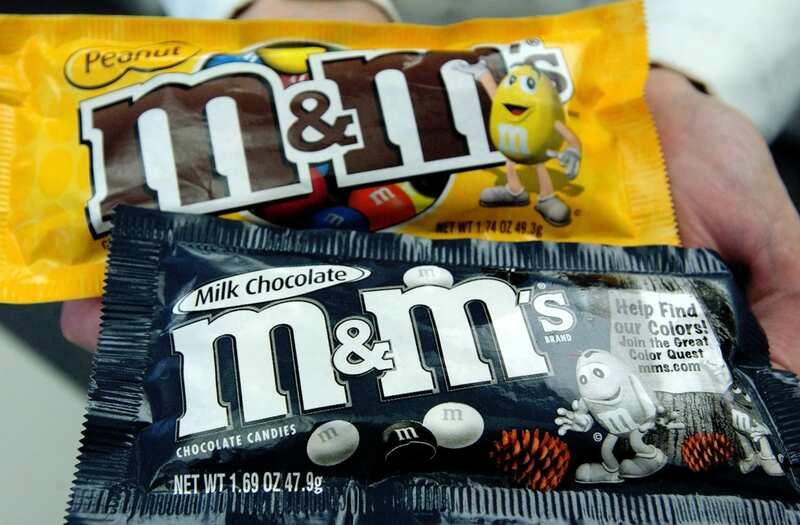 Mars, Inc. makes foods such as Uncle Ben’s rice, pet food Pedigree and M&Ms candy. So, how long would it take you to earn a billion dollars? Career Expert Zippia has created a calculator that shows you just how long it would take at your current salary.